What we’ve been up to this year! 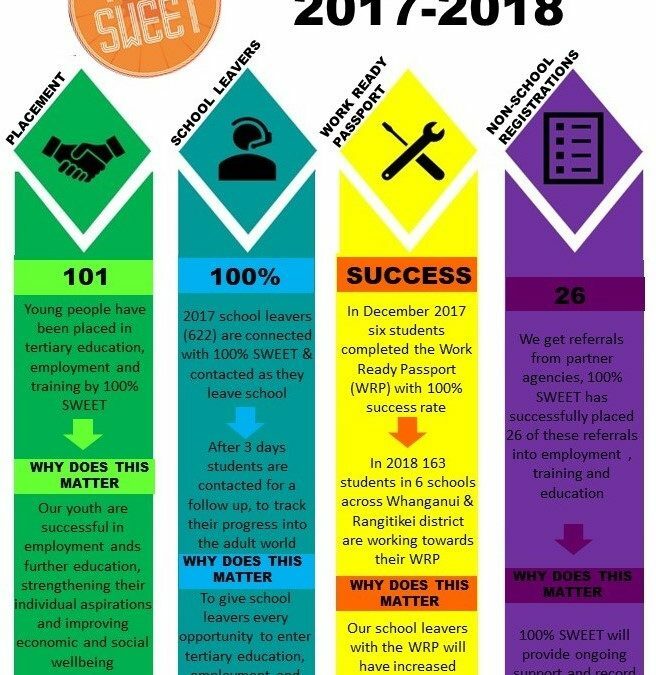 Over the past 12 months 100% SWEET has helped our youth get into employment, education and training as well as increasing participation in the Work Ready Passport program. Here are some of our here are some of our key results, we are working on exceeding these results over the next year!